Making it More Reliable: With proper maintenance, your air conditioner is less likely to suffer a major operational failure of the summer. Inspections located spots where general wear and tear on the system can lead to breakdowns. We also make adjustments and provide thorough cleaning to further remove potential problems later on. A well-maintained air conditioner lets you enter summer with the confidence that you probably won’t need to make emergency repair calls. Making it More Energy-Efficient: The buildup of wear and tear on a cooling system causes more strain on its components. This is especially true for the blower motor. This, in turn, creates higher energy bills at the system tries to overcome the extra stress. If an air conditioner has annual maintenance though, it should retain 95% of its efficiency rating throughout its service life. Helping it Last Longer: Speaking of that service life, most air conditioners should last between 10-15 years before requiring a replacement. But this is only possible if the system has routine professional maintenance done on it. 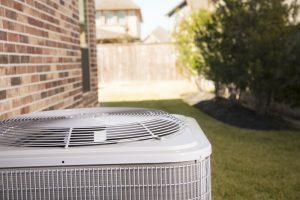 Annual inspections and tune-ups will help an air conditioner give you the best return on initial investment by lasting as long as it’s designed to. Leaving it with Fewer Repair Needs: If you take good care of your air conditioner through maintenance, you’ll be able to spot small repair needs before they have a chance to grow into a much larger problem and cause a domino effect with other failing components. One of the biggest benefits of enrolling in a maintenance plan is the onus is not on you to remember to schedule service each year. We’ll remember for you, and call you to schedule your tune-up. This isn’t the only advantage of becoming an Ultimate Plan member though! And much more! We look forward to discussing our maintenance program with you so you can see how you’ll save energy and money.